Welcome! We are so excited you are here. Below are several tidbits of important information that will provide insight and guidance for your transition to Holy Trinity Catholic. Keep watching – we will be updating this page and our website throughout the summer. Holy Trinity offers after-school programs for students in grades Pre-K–8 at each building location. All opportunities are designed to assist parents whose work schedules do not allow them to regularly pick up their children at dismissal time. Uniform dress is required for students K–8. For additional information, please refer to Holy Trinity’s Parent/Student Handbook. Lunch is an important part of the school day. Holy Trinity Catholic School cafeterias offer nutritious prepared lunches at each of our three campuses. Free and reduced meals are available for eligible students at all three Holy Trinity Catholic Campuses. This benefit is offered through a federally funded lunch program. Holy Trinity is please to offer our families the FACTS Tuition Payment Plan by FACTS Management Company. FACTS will allow you to make payment(s) by ACH Debit to your checking account, Credit Card, or Check. Simply go online and follow the easy steps to enroll in the convenient tuition plan. There is a fee with use of credit card. Please note this is the only way tuition can be paid. Payments are NOT accepted by the school. A student’s progress can be monitored online through the PowerSchool website, which can be accessed on our school website or directly at www.powerschool.org. This website allows parents access to grades, assignments, and attendance. This access eliminates the need for paper progress reports to be sent home. If you do not have computer access to monitor your child’s progress, a written request for progress reports to be sent home in lieu of PowerSchool must be submitted to the subject teacher. In the event that PowerSchool is not feasible, progress reports are sent home to parents of students in grades four through eight who are in danger of receiving a grade of D or E in any subject and/or if a teacher believes a student is not working to potential. Progress reports are issued to alert parents or guardians that their child/ren is/are not performing satisfactorily. Parents may request a conference at this time. In grades kindergarten through three, teachers will inform parents if a child is having difficulty and/or if a teacher believes a student is not working to potential by email, calling, and or sending a note home. Fundraising activities are a VERY important part of our school’s financial success. Throughout the year we conduct a number of other fundraising projects and ask for our school families participation. For the 2018-2019 school year, the minimum fundraising goal for each family (regardless of how many enrolled HTCS students) is a $450 profit. Many of our families go far above the minimum and we express our sincerest gratitude to all who help in so many ways with these activities. Please note fundraising activities are optional. Families who do not want to participate in fundraising efforts may opt out with a buyout payment of $650 made payable prior to the start of the school year. HOME/SCHOOL COMMUNICATION Every effort is made to inform parents of school events and student progress. Communication is of the utmost importance and an essential key to a child’s success at school. Each month parents will receive via the students or email, a copy of the newsletter along with the monthly calendar and lunch menu. The newsletter is the primary vehicle for informing parents of upcoming events, thanking various individuals for their support, and sharing information related to the growth, development, and education of our students. Events such as Open House, Catholic Schools Week, and other school events, provide parents/guardians and teachers with an opportunity to visit briefly and informally. Whenever possible, teachers will communicate by note, email, or telephone to discuss your child’s progress and/or answer any questions parents may have. Parents/Guardians should always feel free to contact teachers or the principal if they have any questions or concerns. Family Folders are sent via student or email, weekly on Wednesdays with up-to-date information regarding the upcoming week and or events. Your child is responsible for returning folders the following day to his/her classroom teacher. 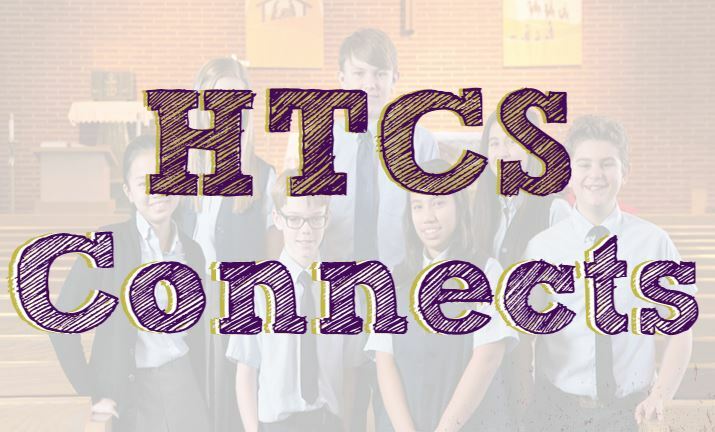 HTCS teachers maintain up-to-date websites on the Holy Trinity website with events related to their classroom. FaceBook and Twitter are used to send reminders of events or sharing student activities along with thanking various groups and individuals for their support to Holy Trinity Catholic School.